It is not only in Fremantle that developers try to get away with building ugly, mediocre, uninspiring buildings inappropriate for the suggested locations. 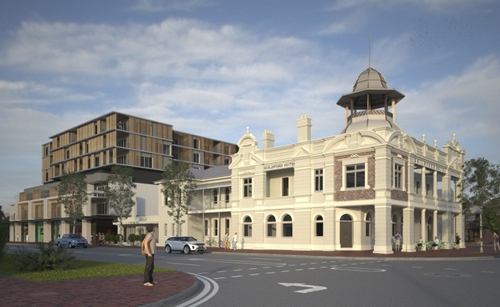 Have a look at what the owners of the heritage-listed Guildford Hotel want to build next to it. The design shows absolutely no respect for the beautiful old building and I hope the Guildford Council will not approve it.